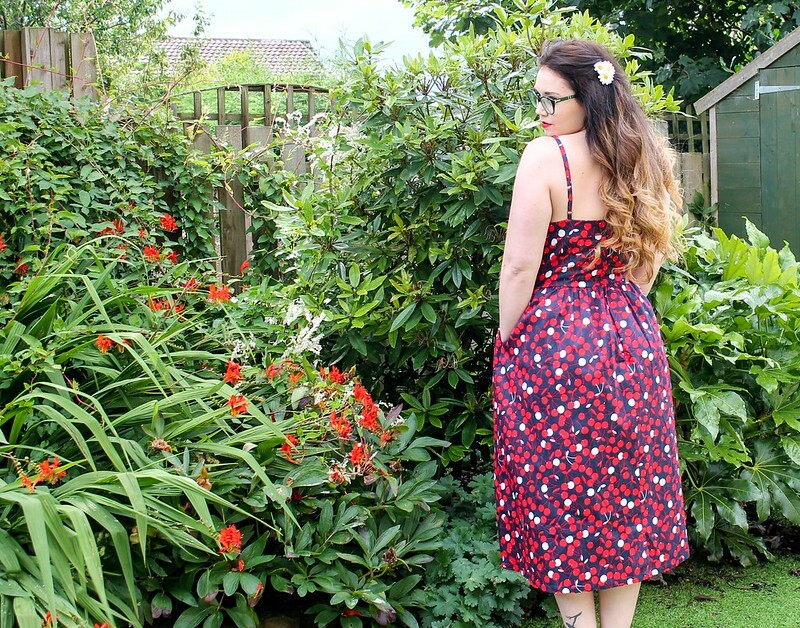 Always one to start a new post with a tune or two, today’s bit of chatter comes alongside the pitter patter of the stunning cherry print Cerise dress from Joanie Clothing. 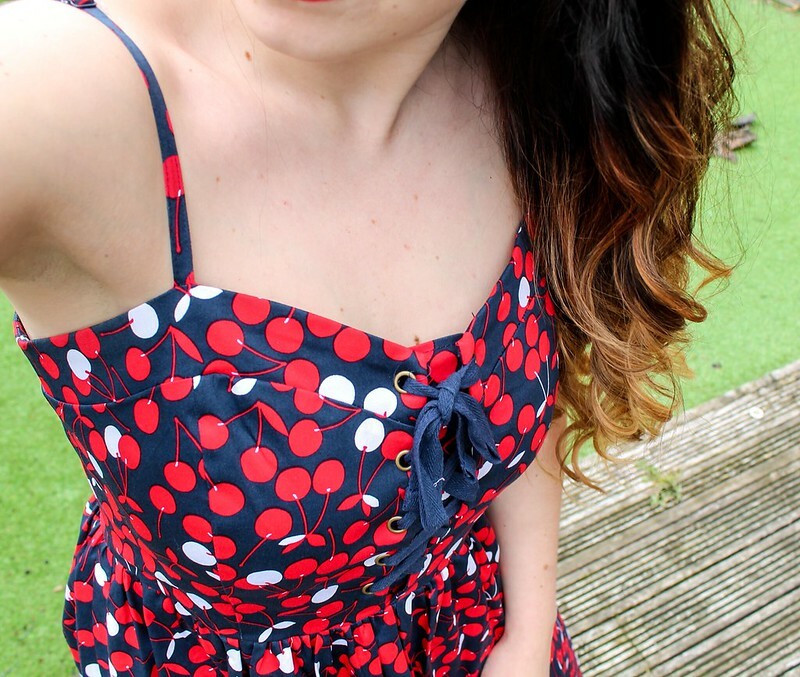 There is something insatiably fruity (sorrynotsorry) about a stand out vibrant dress with cherries on it. 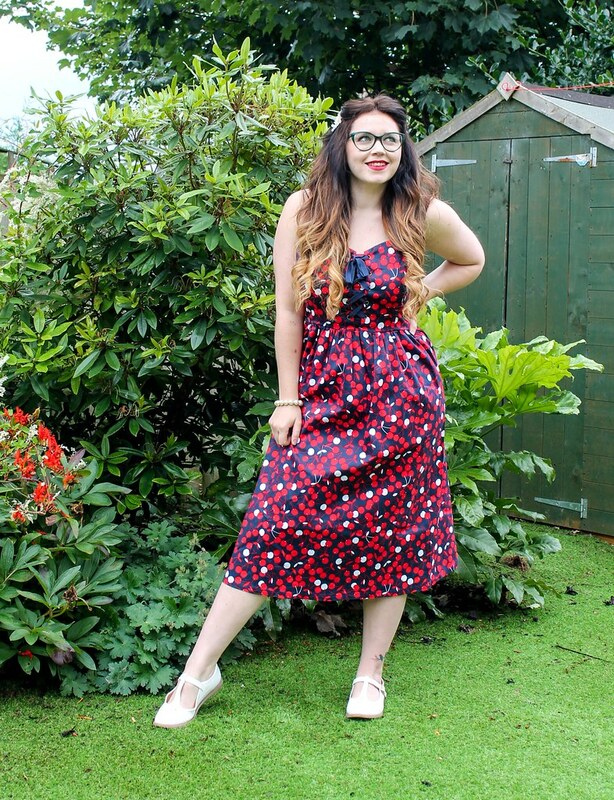 Featuring a full skirt with a nice mid length, the Cerise is the ideal dress to go from work to out out. With adjustable straps, a corset lace up front and delicate sweetheart neckline, the Cerise is flattering and comfortable to wear. I particularly love the vibrancy of the print. Wear with a polo or tee underneath when it gets colder or without to catch some rays. 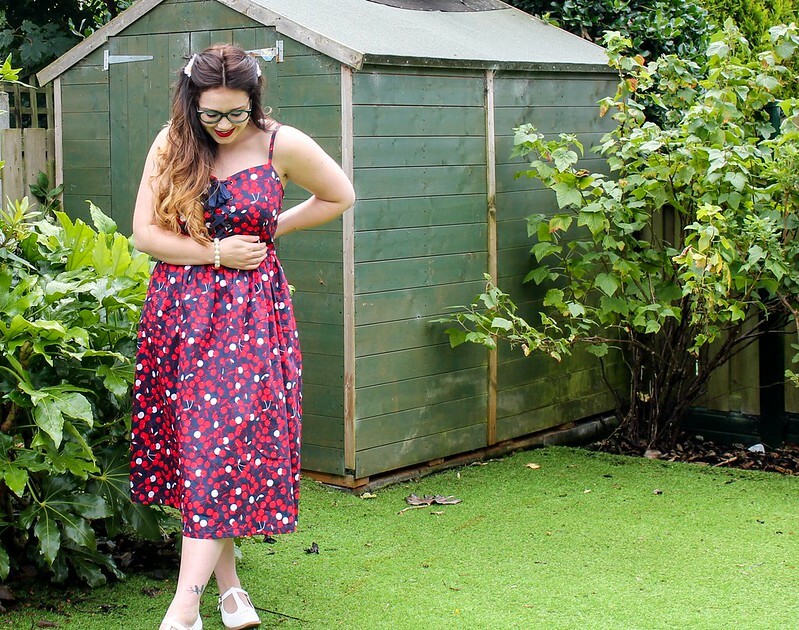 This is one dress that you wardrobe needs. Plus. It has pockets. Having just moved house, all my clothes are in boxes and still needing to find their place. So having Joanie send me this little number was prefect timing and the ideal outfit to feel fabulous in. Having moved house more times than I have fingers, I think I am becoming quite an expert. This time, hopefully is the last. Only a street away from where we used to live mind you. You think I would be used to change with as many house moves as I have endured. Having carefully boxed and packaged up all our worldly goods, we were moved literally a stones throw away from our old house within a few hours. It’s nuts to think that just 2 van loads can transport you from old to new. With our little girl fast toddling about, it was time to upsize so she would have more room to explore in. It is time to make new adventures, new memories and new forevers. I am looking forward to getting back to blogging, back to performing and unpacking… (well maybe not the last one.) It is good to have a fresh palette to work with, and more space to get creative in. 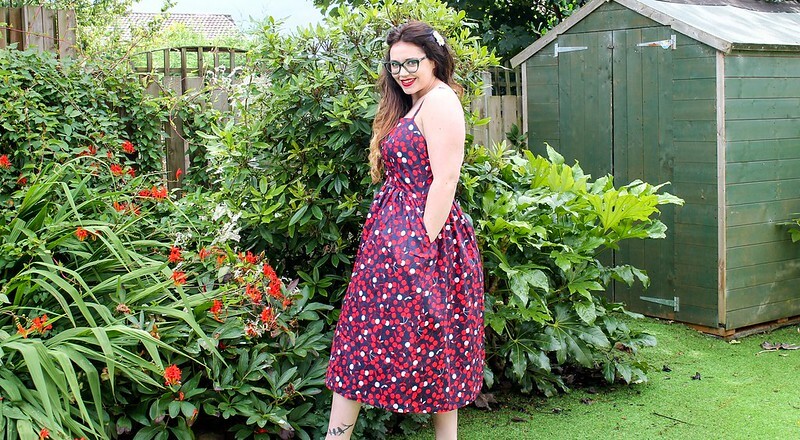 Many thanks to Joanie Clothing – find the Cerise cherry print dress here. Previous Post Throw On Your Gingham Girl.